Content marketing is taking over. It’s not just winning in every sense over traditional, interruptive marketing – it’s also taking names. According to Impact, by 2019, content marketing will be a $300-billion industry. It also costs 62 percent less than its outbound counterpart, but rakes in three times the leads. But, you probably know all this by now. Content marketing is proven, and it’s here to stay. The better question is, how do you put together a stellar, rock star content strategy that hands you all these benefits? Because content marketing isn’t like a self-driving car. You can’t sit back and expect magic to happen. You have to roll up your sleeves, get in the driver’s seat, and direct your forward motion. It takes planning, research, and skill, and it’s an ongoing learning process. Once you learn to drive an automatic transmission, you have to learn to handle a stick-shift. Then, once you have that down, you’ll have to hop in a different car and head in a new direction. You’ll have to change the oil, constantly refuel, and maintain the engine. Vehicle metaphors aside, none of it is possible without a strategy. Here are some tips for building a good one. If you want a Rockstar content strategy, you have to be willing to go above and beyond. You can’t just dive in blind; you have to have overarching goals and plans for how to implement them. How can you get going if you don’t know where you stand? 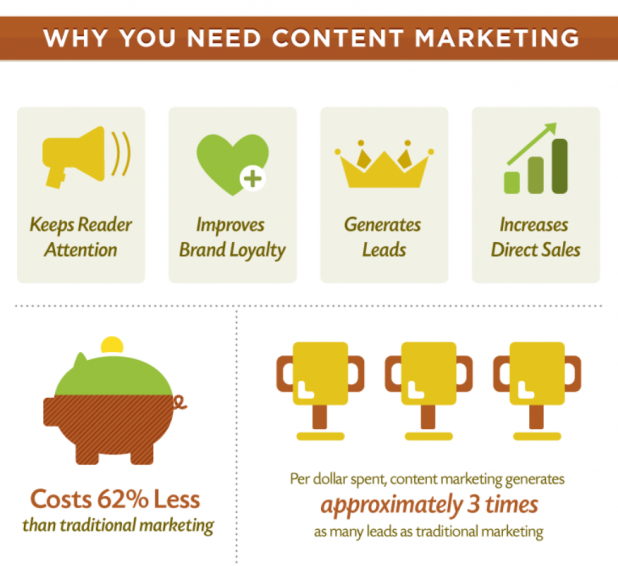 How content marketing fits into your entire marketing scheme. Once you know where you stand, you can set measurable goals to achieve. You can take the necessary steps to build out your strategy and stand apart. Knowing how you stand out will guide your content strategy. It will help you determine the type of content you’ll create as well as the topics you’ll address. Not only that; it will help you build an online voice and presence that’s yours and yours alone. Instead of heaping your content onto the already overloaded pile, you’ll present golden nuggets of information that people will prize, read, save, and share. To stand apart, ask yourself this basic question: What separates me from them? Furthermore, how do those benefits translate into your expertise? What can you teach to the larger community about your industry that’s unique? This doesn’t have to mean unique subject matter, either. Instead, maybe you have a fresh perspective based on your experience and/or unique journey. This means you can address industry topics that have gotten plenty of air-time with new insights. One of the biggest keys to creating effective content is to know your audience first before you ever write a single word. Create content FOR them – don’t do the opposite. Finding your target audience can be as simple as asking your current customers about their preferences and pain points. Surveys are great tools to help you discover this information. If you don’t have any customers yet, imagine your ideal customer, the person who has a problem you can solve utterly and completely. What is their demographics? Preferences? Tastes? 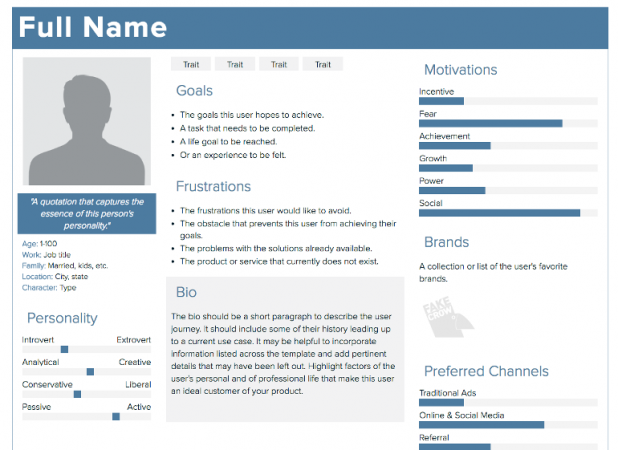 Persona-building is a great creative exercise that can help you find your content direction. If you need help, CoSchedule has a great article that lays out the map for finding your target audience. Once you know your audience, you need to reach them. Half the battle for getting your content discovered online is using the right keywords. Of course, the right keywords won’t just magically come to you out of thin air. You have to find them. Lucky for you, there are tons of great tools that facilitate deep keyword research. Most especially, they’ll help you find long tail keywords, those key phrases at least three to five words in length that your ideal audience is searching for. Check out tools like SEMrush, Keyword Tool, Google Keyword Planner, and Moz Keyword Explorer to get started. Once you know your audience and your keywords, you can plan and create content to match. However, when you start building, be aware of what platforms you’re using to publish your stuff. Where will your core content live? This should ideally be your own domain. Your content is an asset, so it’s more secure to stack it up on your own personal foundation (versus publishing on an unowned platform like Facebook or Blogger – in the unlikely but possible event that they disappear someday, you won’t lose your content assets). 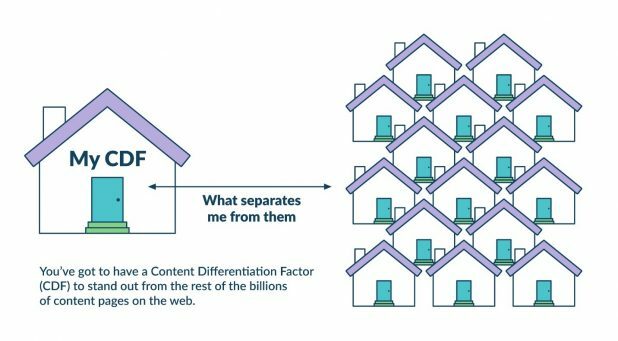 Sharing your content from your core content “house” is a great way to spread the word and get more traffic. Eighty percent of Internet users spend time on social media and blogs, so if you leave social channels untapped, you’re missing out. Once you have some finished content pieces under your belt, share the links judiciously on social media. Don’t just share once, either. Share multiple times to get the most visibility in busy newsfeeds and better results for promotion. And, of course, to keep having content to post and share on social media, you have to keep creating great blog posts and other content on your core site. To do it right and earn the best ROI, create an editorial calendar that keeps you consistent and accountable for high-quality, superior, awesome content. An essential step in any content marketing strategy must include analysis and reassessment. You have to stop, look around, and see where you are. Then, if you find you’re on the wrong path, you can make sure you get moving toward the right one. If you’re not where you’d like to be with your content success, you need to regroup. Measure your progress and make strategic changes based on what you find. Similarly, if you find that an aspect of your strategy is working really well, keep going! Here’s the thing about content strategy: It’s a circle, not a straight line. You won’t ever be finished because you’ll always be creating content, promoting it, assessing your growth and progress, and realigning your strategy and plans to meet your desired goals. Overall, there’s no perfect content marketing strategy for every single type of business. Instead, the path you take will be unique and tailored to your needs. But, as you’ll soon find out, that’s a great thing – and it could be just what you need to rock out your content marketing.